If you are interested in pursuing a career in the field of Allied Health and Services, Cambridge Health can assist you with any one of a vast number of its training programs offered at its Florida and Georgia campuses. The training schools of Cambridge Institute of Allied Health and Technology provide real-life settings and student-centric teaching strategies to provide students with all of the necessary preparation needed to become successful professionals in their sought after fields. At Cambridge Institute of Allied Health and Technology we provide excellent training that is easily accessible with the realization that many of our students have busy and demanding schedules. We have recently added the Institute of Allied Medical Professions institutions in Florida and Georgia to our Cambridge family. Their programs focus on Allied Health professions thereby broadening the options available to our students. 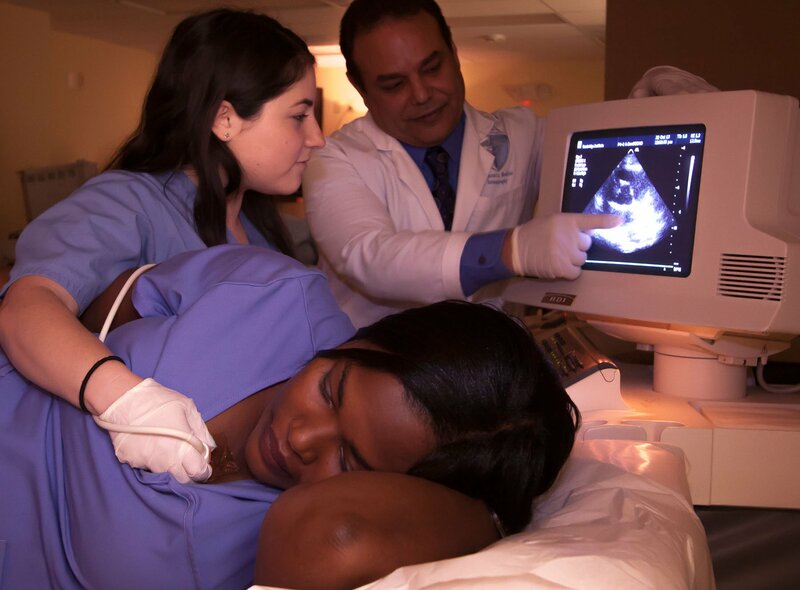 Our programs include training in fields such as Diagnostic Medical Sonography, Radiation Technology, Radiologic Technology, Licensed Practical Nursing and Phlebotomy. Financial aid is available to those that qualify, and our dedicated staff will work with you every step of the way from admissions until graduation to ensure your success in the field of Allied Health and Services. If you are ready to take the first step towards a new career in the field of Allied Health Services, Cambridge Institute of Allied Health and Technology can provide you with all of the information needed to make the right decision for your future. We offer three different campuses in Florida and Georgia that all impose the same high standards when training students in their prospective Allied Health programs. Depending on which career path you choose, our Allied Health programs can last anywhere from 5 weeks up to two years. During your training, you will be provided with all of the necessary education and relevant clinical rotations to prepare you for real-life circumstances. Because Allied Health careers are some of the fastest growing in the country, there has never been a better time to consider seeking an education and certification with Cambridge Institute of Allied Health and Technology.